Derrick Kosinski & Scott Yager are joined by Hunter Barfield and Scott Yager chats with Shane Landrum. We had a massive episode of The Final Reckoning on Tuesday, and who better to have on the show right afterwards than one half of the mercenary team who fought their way into the house, Hunter Barfield (@HBarfield13). Hunter returns to Challenge Mania to tell Derrick (@DerrickMTV) and Scott (@SHOTOFYAGER) when he found out Ashley was his partner, when they realized they had a shot to get ... Más informaciones back in the game, what teams he was worried about, why he gets along so well with Nelson & Corey, whether his wrist held up and much more! Then, just like he did on Tuesday's episode of The Challenge, Shane Landrum (@Shannanity) takes over the show to explain his verbal sparring from the last episode and his bold and polarizing move to throw the Challenge. 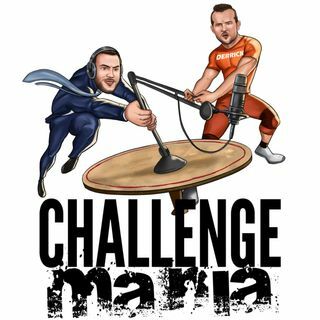 For MORE Challenge Mania head to www.Patreon.com/ChallengeMania where we will have TWO bonus episodes up this week for patrons!